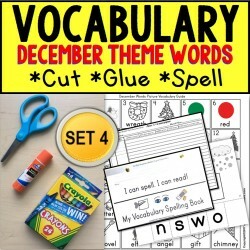 Print out one page, cut out and laminate for flashcards and vocabulary building. 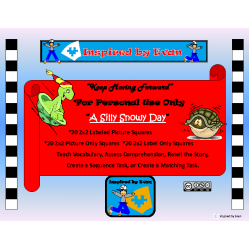 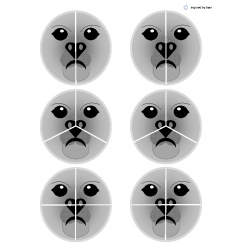 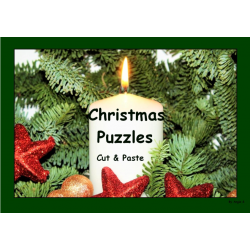 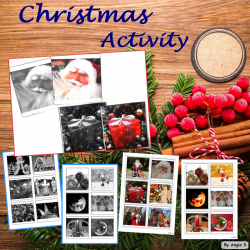 Print out two pages..
A Silly Snowy Day for Autism: 20 2x2 picture squares with representations of vocabulary words from .. 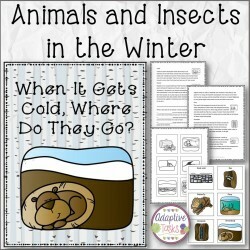 Animals and Insects in the Winter is a product that share some information about the following anima..
Arctic Animals Fraction Circles for Autism: Included in this resource- *These Arctic Animal Fracti..
Autism Matching File Folders (10 pages) - Christmas, a perfect activity for young learners and those..
Christmas Puzzles and Posters (22 pages) are real fun for students helping them develop fine motor s.. 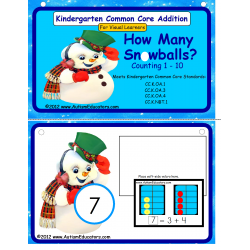 Learn to Count with Stockings, a great activity for young children 2-6 ages as well as for students ..
Let's throw snowballs into the tens frame! 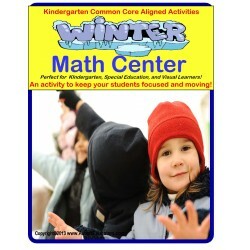 This 57 page Common Core Kindergarten Addition activity w..
Catch the flying snowball! 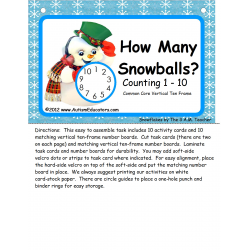 This easy-to-assemble downloadable activity includes 10 snowball counting.. 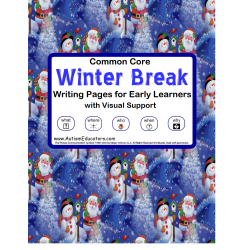 This Common Core writing activity for Early Learners includes 10 pages ready to illustrate and add w..
Keep your students moving and focused all at the very same time! 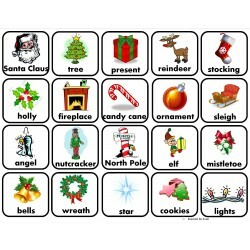 Some children need the opportunity .. 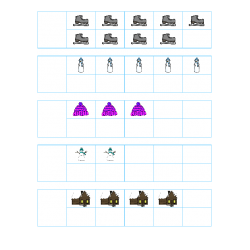 Description: A file folder designed for the maintenance, practice and acquisition of the skill of co..